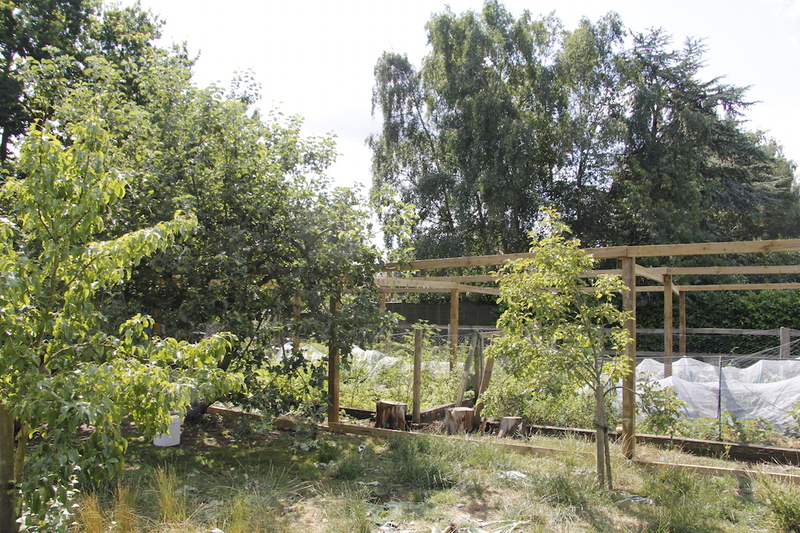 James and Henry have spent the past few months on and off building a wonderful new, giant fruit cage. It is about 7m wide, 21 m long and about 2m high – it is huge. And then while we were away in July Henry put all the side bars and supports on, the wires for the roof and started on the mesh. He also re-did the old fence line and dug out all the horrid nettles. 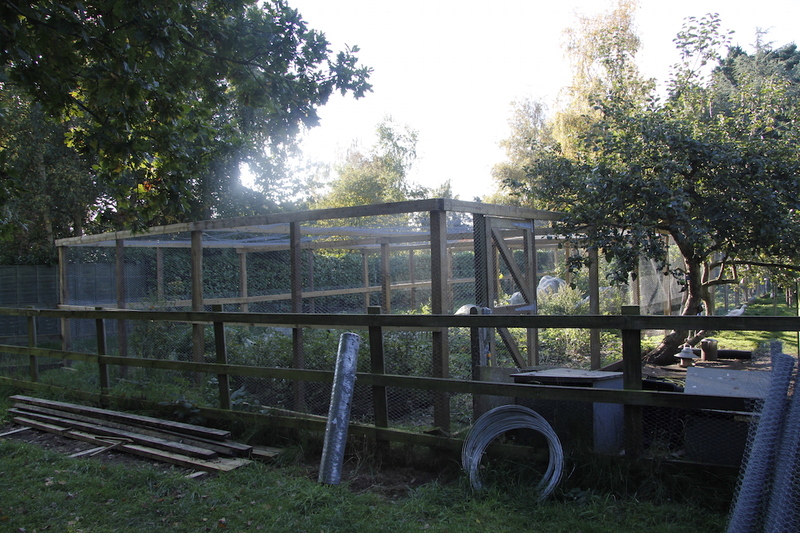 When we got back it was really looking like a fruit cage. 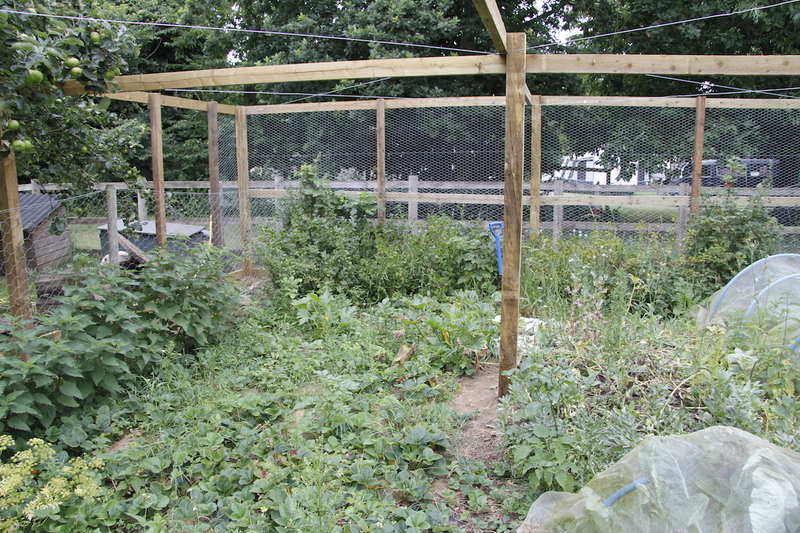 In the last week or so they have both worked hard to completely wrap the fruit cage, make doors and tie it down. 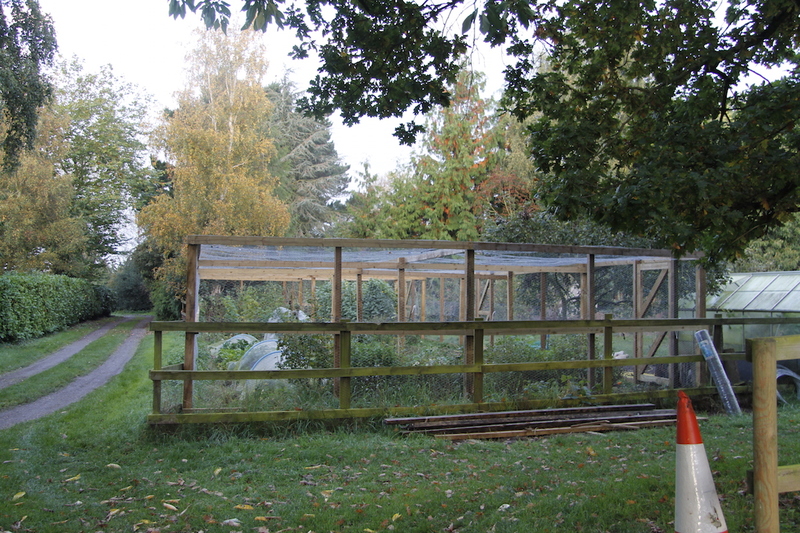 James deconstructed the old fruit cage and the old vegetable plots and Jess helped him move the immensely heavy sleepers over to the hugelkultur beds where they will be re-used as edging. Now all we have to do is construct the wires and supports for the new strawberry growing system. Did everything out, replant all the currant bushes I have lying around. 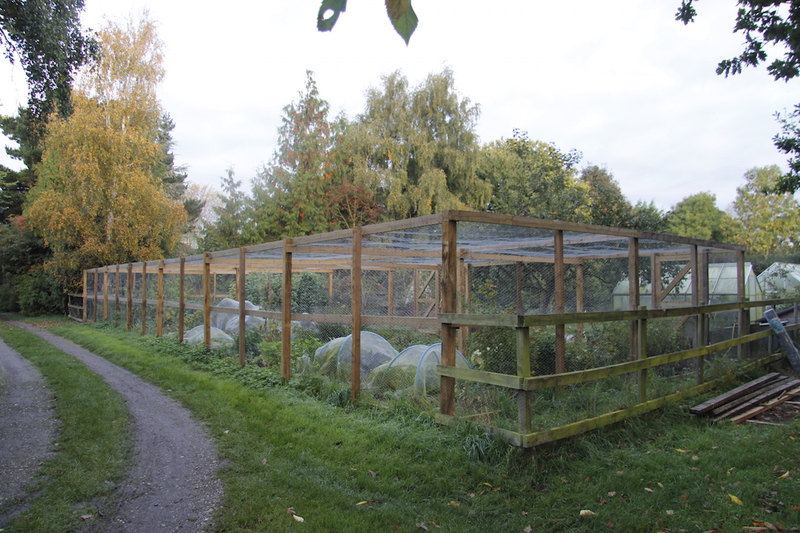 And set up a couple of wires for growing the summer raspberries along – easy ……. Thank you all so much. I am very very excited, squeaky excited. How fab! So much work. Well done everyone. I’m slightly jealous I have to admit. Would the lads come build one for me?